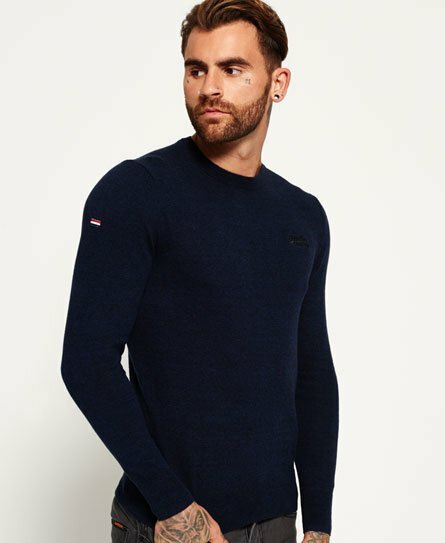 Superdry men's crew neck jumper from the Orange Label range. A soft, luxury cashmere blend jumper featuring an embroidered Superdry logo on the chest. The jumper is finished with a subtle, signature Superdry orange stitch on the hem and a tri-colour patch on the sleeve.